An opportunity for your children to walk out with the team at the beginning of the match, participate in the Respect handshake with the officials and opposition team before posing for a photograph with the captains and officials. Included in the Mascot package: a photograph and pen pic of your child’s interests in the match day programme; free admission to the match for the Mascot and two adults, an exciting and memorable day for your child. 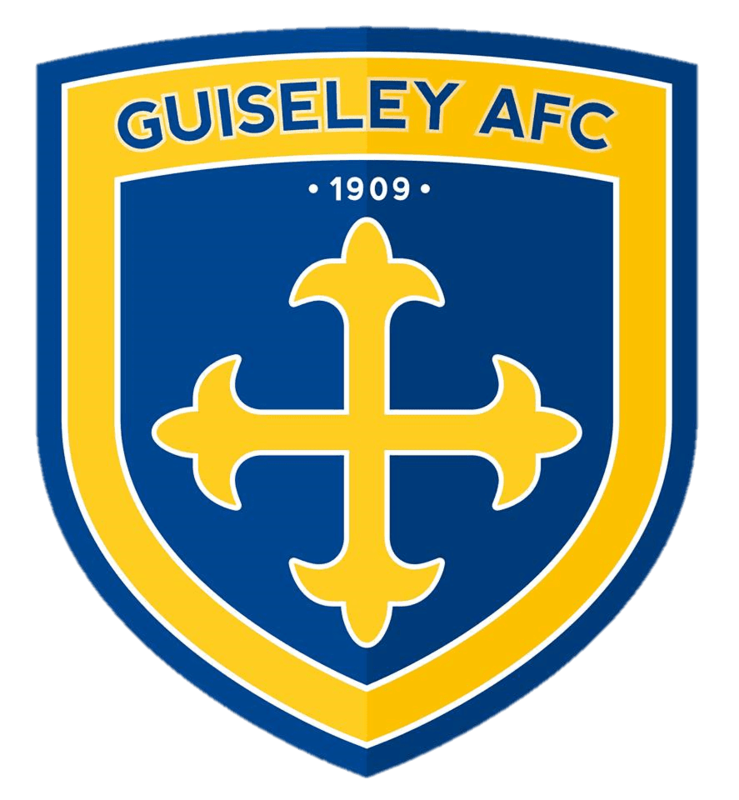 Would your child’s junior football team like to form the Guard of Honour for Guiseley AFC and their National League opposition? Included in the Guard of Honour package: 45 minutes football on the adjacent 3G; a team photograph and write up in the match day programme, a team photo on the pitch before leading the applause as the teams come onto the pitch. Admission to the match: junior team – free, siblings under the age of 18 – free, all adults £5 per person. 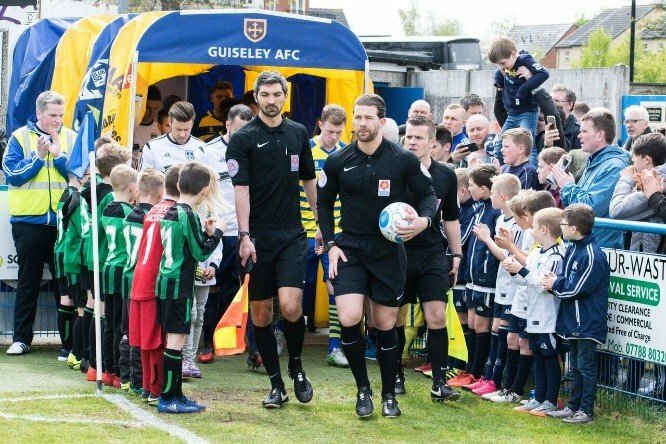 The role of Mascot is an opportunity for an individual child or children to be part of the match day experience at Guiseley AFC who play in the National Vanarama Conference League. Please email a photo and a write up about the child/children/team/club to go into the Match Day Programme, this should be sent to rachel.football@hotmail.co.uk. The deadline for a Saturday programme is the preceding Tuesday at 5pm and for a Tuesday programme is the preceding Friday at 5pm. Please be aware that any photographs taken on the day may be used on the Community Foundation’s or Club’s websites, in the programme or on social media. If a child is not permitted to have their photograph used in such a manner it is the junior club’s responsibility to ensure that said child or children are not positioned within range of the camera. If an image of a child is inadvertently used please contact the club immediately and we will remove the item as soon as is possible or pixelate the child’s face. Please enter the ground via the Blue Gate (adjacent to the 3G), the latest you should arrive is 15 minutes before KO. There will be an opportunity for photographs by parents and carers before the players come out. Parents and carers are welcome to attend the game and will be charged a reduced admission as listed below. Please feel free to use social media to inform friends and family of the event both on the day and beforehand. Programmes containing the Mascot’s photograph and a write up are available by Blue Gate. The Guard of Honour is an opportunity for a junior team to be part of the match day experience at Guiseley AFC who play in the National Vanarama Conference League. Please email a team photo and a write up about the team/club to go into the Match Day Programme, this should be sent to rachel.football@hotmail.co.uk. The deadline for a Saturday programme is the preceding Tuesday at 5pm and for a Tuesday programme is the preceding Friday at 5pm. Please ensure that all parents and carers are aware that any photographs taken on the day may be used on the Community Foundation’s or Club’s websites, in the programme or on social media. If a child is not permitted to have their photograph used in such a manner it is the junior club’s responsibility to ensure that said child or children are not positioned within range of the camera. If an image of a child is inadvertently used please contact the club immediately and we will remove the item as soon as is possible or pixelate the child’s face. The adjacent 3G pitch will be available from 2.00 – 2.45pm for use by the Guard of Honour, or the equivalent time before an evening KO, it is the responsibility of the coaches to ensure that the junior players are supervised and kept entertained during this time. Unfortunately we are not able to provide any equipment for use during this time or for use during any half time activities. Approximately 15 minutes before KO we will bring the entire group into the ground via the Blue Gate (adjacent to the 3G). Parents and carers are welcome to attend the game and will be charged a reduced admission; the coach in charge should collect the monies and a total number of admissions to be passed onto the relevant gate before the game. Parents and carers are permitted to take their own photographs of their child and their team subject to the junior club’s own procedures. Subject to weather conditions If the coach wishes to organise some small scale activities for the Guard of Honour at half time (approximately 10 minutes) we will advise which area of the pitch is best suited for your activities. Please note that we do not allow any activities that include a goal(s), I am reliably informed that this causes the most damage to the pitch – even if the child is light.